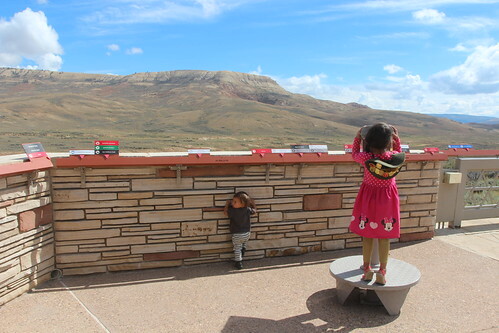 Mali Mish – Days 46-47: Fossil Butte National Monument, Wyoming. The roads south of Jackson, Wyoming are the best kinds. They meander along a river and through ravines. 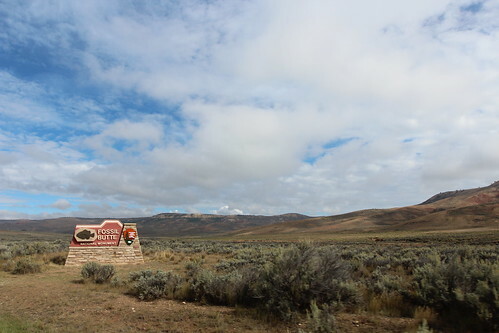 As we turned one corner, we even saw hundreds of sheep being herded by a couple of horseback sheepherders along a steep hill side right along the highway. I really wish we had stopped to take a few photos of them but it came up on us all too quickly. There are hundreds of miles between isolated towns with hardly any services so we had little choice as to where we can stop for the night. 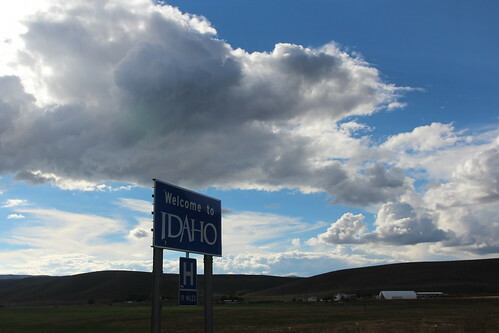 The road even meanders back into Idaho for a bit before dropping us back into Wyoming. 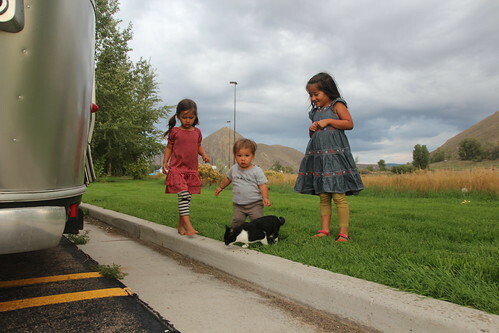 Our plan is to find a place to park overnight for free so we can head over to Fossil Butte National Monument in the morning. From our research, the only option we had around here was a Flying J Truck Stop in Cokeville, Wyoming. 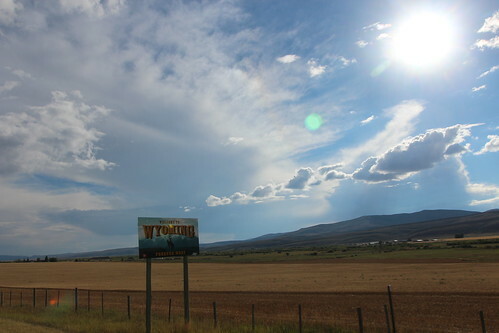 With a population of only 535 people, this town is barely on the map. However this little place is home to Todd Dayton, one of the country’s winning-est high school football coaches according to USA Today in 2006. They must be doing something right. The phone reception here for Verizon was non-existent. That means we were unable to access the Internet for work. For seven bucks, I took a chance and bought a 24 hour pass to use the Flying J’s wifi connection. These public connections are typically slow and riddled with blocked services so we usually prefer to use our own. But we were surprised to find that it was actually very fast and reliable. Maybe it is because we were the only people using it in this little town. For dinner, we bought a smorgasbord of gas station heat-lamp goodies from Flying J and even had a local visitor come to our door for some play time. This little guy was very sweet and gentle with kids. Of course they wanted to take him in but Yoda just would not have that. 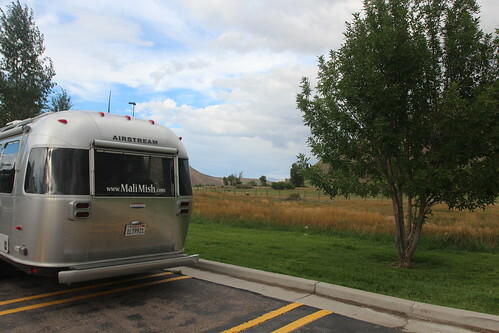 In the following morning, we headed south towards Fossil Butte National Monument. It is pretty far out in the middle of nowhere and we were happy to include this in today’s home school curriculum. This entire area back in the day was part of an inland sea. The sedimentary layers on the butte are loaded with fossils that tell the story of everything that has lived here in the past. 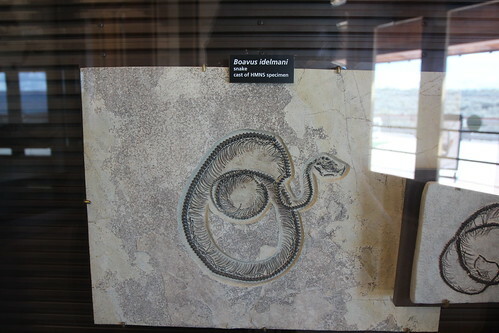 Many of the pieces on display here are real, authentic fossils that have been found in the area and others are copies of ones that are stored or on display in other museums. 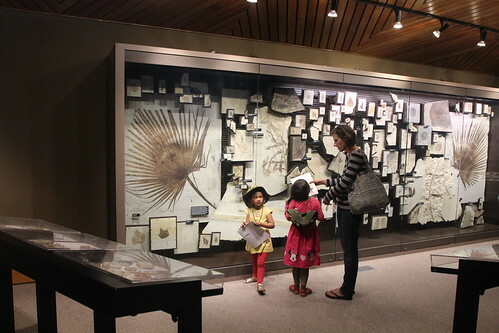 The girls were fascinated with all of the fossils here but kept asking where the dinosaurs are. 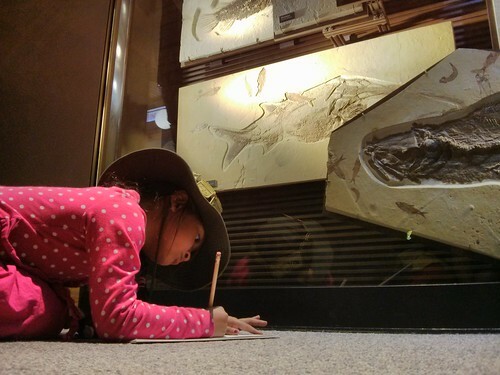 Do all kids automatically assume all fossils should be of dinosaurs? Well now they know. 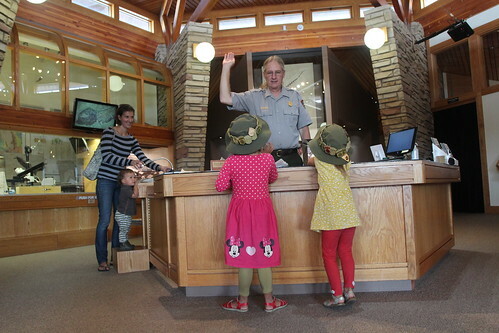 The girls hit the jackpot here and got a bonus Junior Ranger badge. On top of the Fossil Butte Badge, they also received a Junior Archaeologist badge. That right there is the ‘Butte’. I like big buttes and I can not lie. 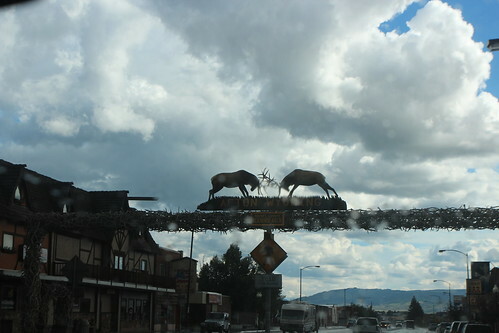 We even spotted some pronghorns strolling around down there while we admired its beauty. As we left Fossil Butte, we had some decisions to make. 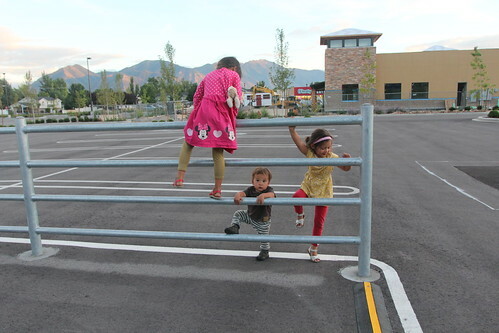 We considered spending some time in the Salt Lake City area but ended up deciding that this was not the time. We have some maintenance to do on the trailer and we just wanted to get a little closer to California before we settled down for a few days. 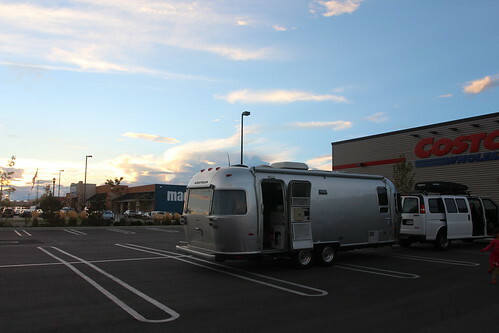 We made a stop at Costco in Spanish Fork, Utah for a little break and headed all the way to Cedar City for the night. Tomorrow, we will head into Zion.